Did you know you can now order your Just Eat takeaway from Chilli here on View? 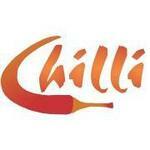 Chilli offers diners a modern and stylish Indian dining experience. There menu is loaded with a cracking array of dishes that are created using only the finest and authentic Indian produce. 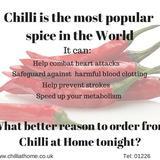 Do you work at Chilli? 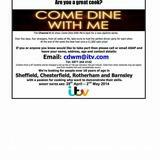 What did you think of Chilli? Immense curry house. Always make sure you ask for tikka chicken with your choice of sauce, you get a much better cut of meat and has so much more flavour. Excellent restaurant, great food and friendly staff. You can also get an excellent steak so everyone will be happy.